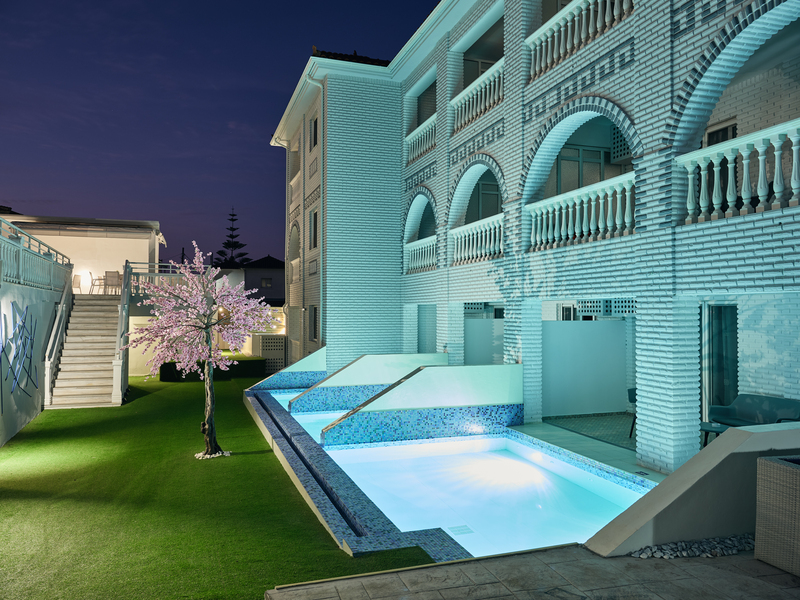 Meandros Boutique & Spa is a small, cozy, adult’s only 5* hotel. Located in the famous Greek island - Zakynthos, in the resort of Kalamaki. 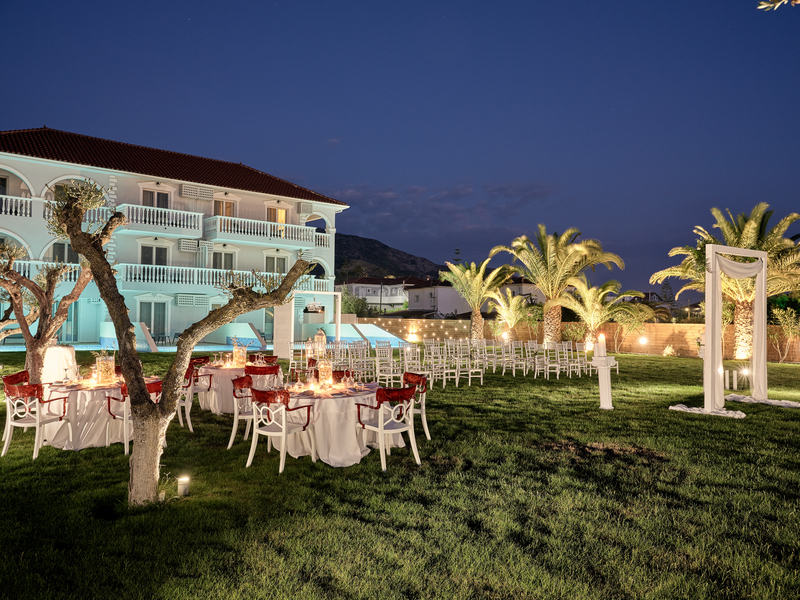 With a passion for precision and innate attention to detail, Meandros Boutique & Spa is the perfect place to tie the knot in Zante and celebrate love in style. Meandros is the most important symbol in Ancient Greece, symbolizing infinity or the eternal flow of things. At Meandros we bring people’s souls together for Eternity because only love lasts forever. Our team will make sure that your wedding event will run smoothly in an organized, friendly and professional environment. From setting up a classy arch to say ‘I do’ beneath, to arranging decoration, candles to light up your soul and beautiful pictures to capture your memories in this special day of yours. 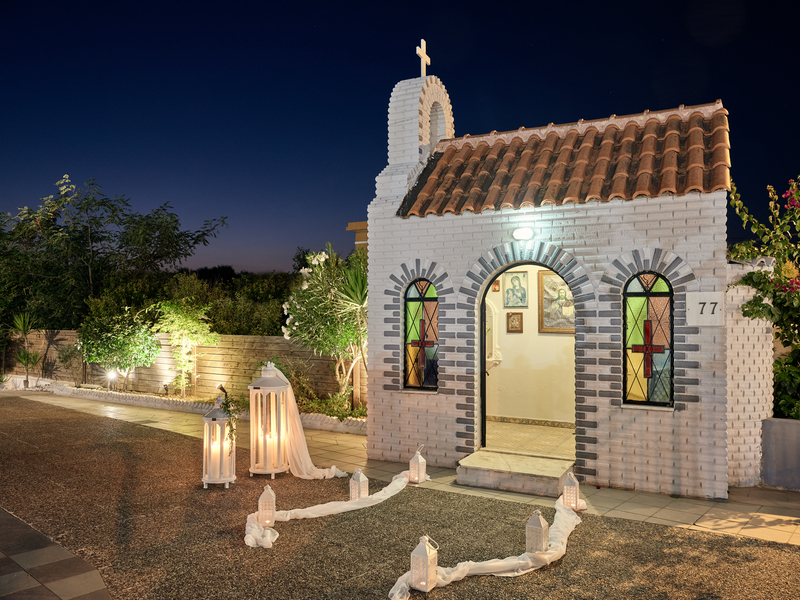 The ‘Holy Trinity’ chapel, situated in the hotel will add a unique Greek element to your wedding experience, combined with an open-air garden space with amazing views of the blue sky. When it comes to the culinary team, our skilled chef will create unique menu options designed to suit your tastes. Whatever your choice will be, our team will make sure that your wedding will be an unforgettable experience. Inspired by the ancient Greek spirit, with summer weather and the opportunity to be outdoors on the horizon, we offer elegant venues for our guests. The “Holy Trinity” chapel, situated in the hotel premises, will add a unique Greek element our guest’s wedding experience, making their wedding a ritual to remember under the sound of the bells. Combining the traditional elements of olive trees, we present the inspiring “Open Air Garden” by Meandros Boutique & Spa, as the backdrop for an intimate wedding gathering, sunset ceremony or moonlit reception.